A small part of the impulse for this blog, is to purge myself of bird imagery. 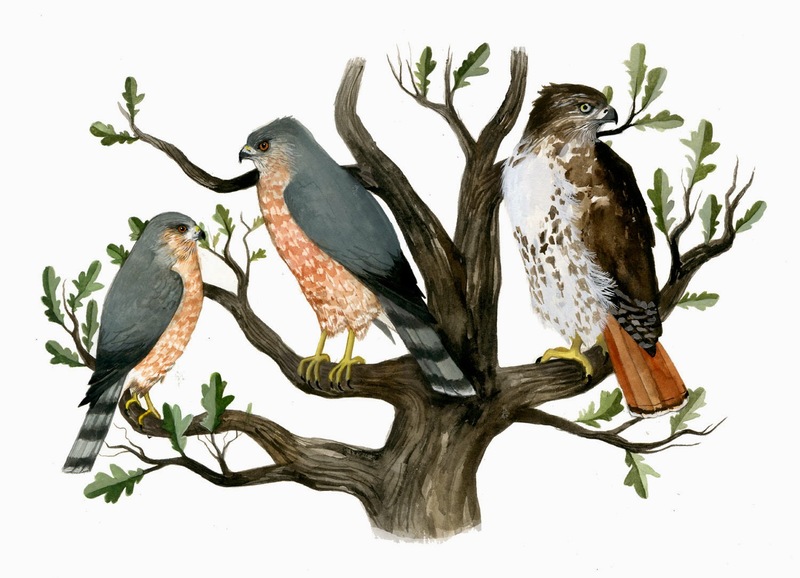 I can indulge myself here, so that avian images don't get overused in my other illustration work. There's nothing wrong with using bird imagery, but I try to be selective, as it is easy to overuse such instantly (easy) poetic forms, resulting in cliche work. About a third of the illustration work I do is for screenprinted rock posters. I won't (tryyyy not to!) use birds unless there is a specific reference made by the band. 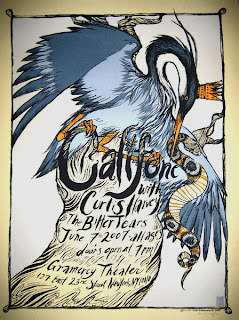 Here in these examples, the Califone poster was for a show they played after the release of their latest album "Heron King Blues", and sooooo...I couldn't resist. 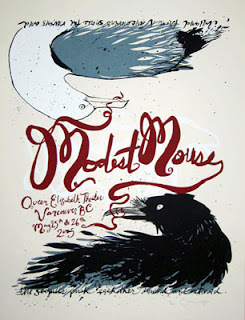 The other example is a poster for a Modest Mouse show in Vancouver. Modest Mouse has long been one of my favorite bands and I was asked to make a poster based on a favorite lyric. I chose the line "Inland from Vancouver's shores the ravens and the seagulls push eachother inward and outward." from the song "Heart Cooks Brain".